Ring News 24Boxing News Breaking Boxing NewsDavid Price vs Alexander Povetkin: Match Up or Mismatch? Amongst the many big announcements this week, one fight has caused a lot of discussion. 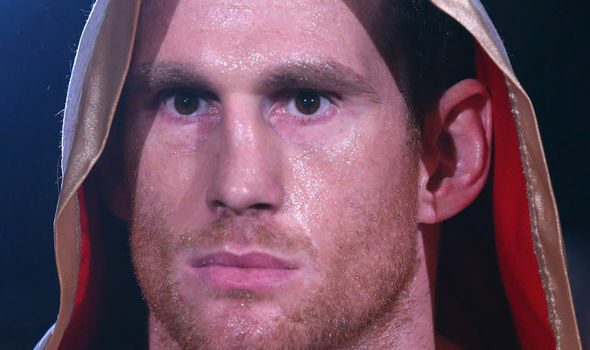 Although no contracts have yet been signed, Dave Price has agreed to fight Alexander Povetkin on the Joshua vs Parker undercard in Cardiff on March 31st. If Price were to pull of an unexpected victory, he would replace Povetkin as the WBA mandatory challenger, setting up a potential fight with the winner of Joshua vs Parker. Many have seen the bout as a purely commercial exercise from promoter Eddie Hearn, as an attempt to fuel interest in a Joshua vs Povetkin fight, but Price is determined to prove doubters wrong, telling Sky Sports News that “This could be a turning point”. The reaction to the prospect of a Price vs Povetkin fight going ahead has been mixed to say the least. Many have deemed the fight such a mismatch, that there are genuine fears for the safety of Price. Despite being a big puncher, having knocked out Anthony Joshua whilst sparring in 2011, Price has struggled to retain his power since consecutive losses to Tony Thompson in 2013. Since then Price has failed to breakthrough and become a household name, in the way that other British heavyweights such as AJ and Tyson Fury have done. In Povetkin, Price would face an incredibly aggressive fighter with a destructive counter punch, who looks to get on the front foot early on, Despite being relatively small for a heavyweight, Povetkin holds the power to have been regarded as second only to Klitschko in the heavyweight division for several years, and will push Price’s chin to breaking point. Whilst his stock has waned over the last few years, especially given his failed drugs tests, Povetkin is still a very powerful fighter, who will pose all manner of problems for Price. You can’t help but feel this is a make or break fight for Dave Price. A win would put him right back on the map, giving him a shot at the WBA world title. Price still packs a very powerful punch, and should he catch Povetkin on the chin whilst trading, then he could well knock him out, but he would be the first fighter ever to knock out Povetkin in his professional career. A loss, whilst not necessarily ending Price’s career, would cement Price’s place as a solid boxer, but not of world championship standard. Regardless of all else, if the fight is made it is a tantalising prospect, and makes an already fascinating night in Cardiff with Joshua vs Parker all the more exciting.